At Unigloves we notice that more of our Distributors have been asking about ethical manufacturing, due to recent articles appearing in the broadsheets such as The Guardian. This blog post is written to give you more information from the market and to provide Unigloves’ position on ethical disposable gloves manufacturing of our product range including examination gloves, non-medical disposable gloves and raw materials’ sourcing. 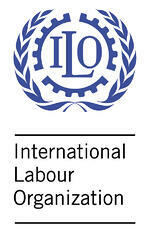 In 2016, the International Labour Organization (ILO) estimated that 21 million people globally were victims of forced labour, with 90% of the cases occurring in the private sector.Despite advances in automation, disposable glove manufacturing remains relatively labour intensive; the four largest factories in the world together employ over 25,000 workers, most of whom are migrant workers from SE Asia, in particular, Myanmar, Nepal, Bangladesh, Vietnam and Indonesia, and are therefore particularly vulnerable and may not deploy ethical disposable gloves manufacturing. Workers are often compelled to work to repay a debt and unable to leave until the debt is paid. This often leaves workers stranded overseas, often without access to their passports, unable to return to their homes and families. Sometimes they have been burdened with debts up to $1,500, equivalent to more than three months’ wages, with interest charged at up to 36%. Other times they are forced to work on their four allocated rest days each month, often in threat of a reduction in overtime. Migrant workers in the glove industry often bear the brunt of the dirty, dangerous and difficult jobs. They face specific hazards like exposure to aerosolised latex powder which puts workers at risk of allergic lung disease. Boiler areas and inadequately stored chemical products can lead to fire and burn risks while working temperatures on production lines can reach as high as 70C. Workers are also at risk of suffering hearing loss, as machinery regularly emits noise as high as 90-100 decibels. The more complex and multi-layered the supply chain, the higher the risk that labour abuses may be present. Many gloves are supplied via sourcing ‘agents’ who can secure what are perceived to be lowest prices but will rarely provide transparency as to the source of their gloves, and will change suppliers frequently to get the best deals. For those buying directly from factories, questions are rarely asked about ethical assurance measures and auditing processes. At the very least, question your suppliers about their supply chain and the factories providing your disposable gloves. Ask your suppliers about their ethical assurance measures and auditing processes. These steps can help assure you’re sourcing ethical disposable gloves. Unigloves has three operational plants located in Seremban, on the West Coast of Malaysia in the beautiful state of Negeri Sembilan. The Unigloves’ worldwide team of over 600 is the key to our success. The Unigloves’ range, including our examination gloves, is produced, packed, shipped, imported and distributed by the Unigloves group of companies. All our manufacturing workforce are paid fairly and work in safe conditions and are integral to the success of our fast-growing and dynamic company. Unigloves' factories are accredited to LSAS Level 2, and we welcome visits and audits by our customers. We audit our supply chain to ensure the raw materials we receive are also produced in an ethical environment. To sign up as a Distributor, please click on the image on the left.